I have a new Christian nonfiction book review for y'all today, which I devoured last week. It basically covers two things I really want to focus on in 2018...well really for the future and not just the year...and that's my spirit and getting my mornings under control. We'll start with the mornings thing. I've always been a night owl. I think this goes back to my husband working shifts eons ago, and then not getting off work until later than your average person for quite a few years. We had always stayed up late, not necessarily doing anything productive mind you, but I've never had a set, early bedtime. I also have insomnia, which might be helped by the set, early bedtime that I've just confessed I don't have. I've also never had a great daily routine. I've always been a willy-nilly, spontaneous person, and yet fascinated by the routines that other people have and I've never managed to grasp. I covet them big time, and have decided at 42 yo that it's time to get my crap together. So, morning routines are way up on my priority list this year. I've also decided that I want to prioritize growing in my faith and spirit. I was not raised in a family that attended church every week. I think I have casually mentioned this in other reviews before. Over the years I have sporadically attended different churches, intimidated as all get out because it feels like everyone else knows what they're doing, and I'm on the outside looking in. But I read books, listen to sermons and podcasts, follow Instagram accounts, and devote time daily to reading the Bible. I'm hoping to find a Church home soon, as I feel in my heart it's a missing link...but for now, I'm doing the best I can. And trying to make a concerted effort to put my faith high up on my priority list. I wasn't aware until reading the book that there is a website and podcasts of the same name, with a thriving community of folks online supporting each other in following the plan outlined in the book. I am definitely going to listen, join and devour all of this content now that I know it's there...but like normal, I'm getting ahead of myself. 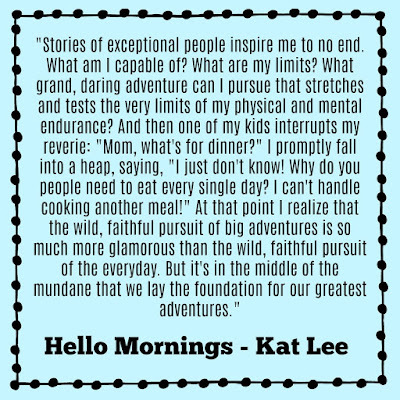 Hello Mornings is a book dedicated to building a three part morning routine that the author has found to do amazing things in her life. The idea is that you start your mornings with God Time, Plan Time and Move Time. She starts with a simple 3-minute version of this routine, and then gives you a myriad of ways that you can build on it. 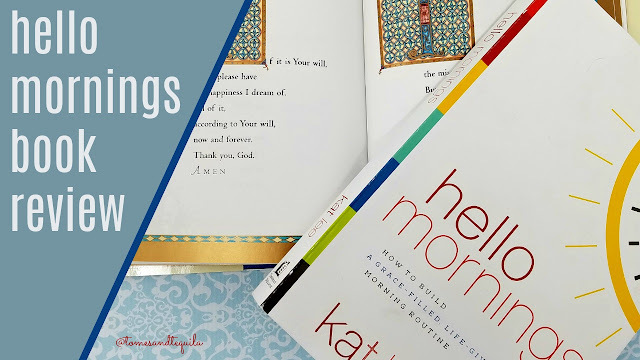 She also discusses habits, the power of a good routine, and why it's important to start your day with God so that the rest of your day falls in line with your spirit. To me that goes with something I've seen on quite a few accounts on Instagram since the new year, which is starting your day with the "Word before World"...or praying, reading scripture, devoting time to God before you reach for your cell phone. Like I said before, I devoured this book. I'm talking, reading through a migraine devoured it. It is written like a good chat with your girlfriend, and never comes off as condescending or "holier than though"...which I hate to say I've found in some books of this genre. I think my favorite part is the fact that she starts with the simplest routine, one that anyone can accomplish and feel good about themselves for achieving. Her 3-minute version is to read/pray/memorize Psalm 143:8, look at your calendar for the day, and then drink a glass of water. That's it! Just that simple habit covers your spirit, your daily plan, and your health. And honestly, although this is a very Christian book filled with tons of advice for people trying to build their relationship with God, the actual morning plan could be tweaked for anyone...although I'm not sure the actual book would be at the top of someone's list if they were not Christian. But the plan could be morphed to meditation or any form of calm spirit building practice, and then the rest of the plan kept the same. I feel the main takeaway is to start your day focusing on your Faith before life gets in the way. The book has plenty of stories from other women, sharing how they've incorporated this plan into their lives...women in various stages and lifestyles, from working women, to stay-at-home mothers with little ones still. And my absolute favorite thing, and one that you'll recognize if you're a long-time reader of the blog, is the actionable steps and lists of how-to's that are peppered throughout, and the great resource section that really lays out everything that was covered more in-depth earlier in the book. I am a HUGE fan of practical tips that I can use TODAY to put into practice the tenets laid-out in a book. I will be going back and doing some of the exercises in the book that I jumped over in finishing it to review, but if you're intrigued at all, I believe on her website you can download the first chapter for free. She also has a lot of other great content to be explored. But, I'm so happy I bought this book when I should've been sleeping! It is just a bright and shiny, happy book that left me incredibly excited to begin a new routine. I'd love to hear in the comments if you have a set morning routine that you follow. I'm always zooming in on people's planner photos on Instagram to see what their daily/weekly routines are, and hoping to get a glimpse of how everyone else is managing the day in/day out tasks that need to be accomplished. I feel like it's something I definitely need to work on!! 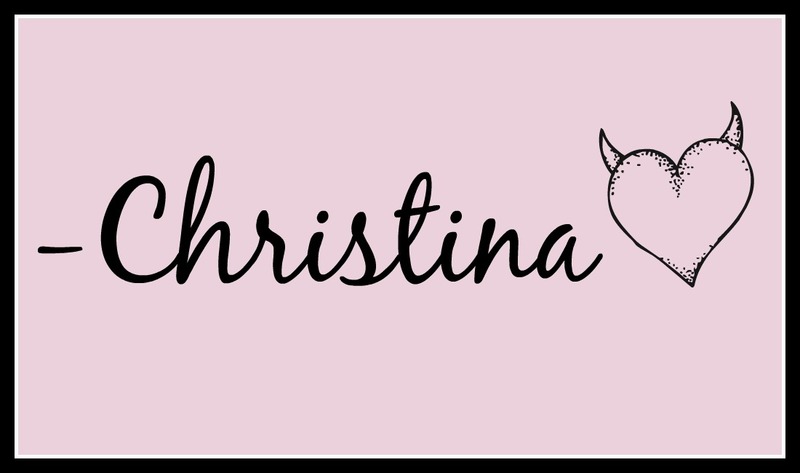 OH, and be sure to check out my January Favorites video on YouTube. *Affiliate Link, please visit my review policy for more information.